28.september 2009, Pope Benedict kneeled and prayed before the skull of saint Wenceslaus, patron saint of the Czech nation. Pope Benedict kneels and folds his hands before a “holy skull” of the Roman Catholic Church. The Roman Catholic Church honors Saint Wenceslaus, a Central European ruler who died at the hands of his brother while seeking to strengthen the Catholic faith in his native Bohemia. St. Wenceslaus was born around the year 903. His father Duke Wratislaw was a Catholic, but his mother Princess Dragomir practiced the native pagan religion. 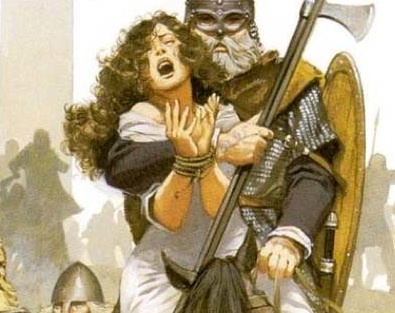 She would later arrange the murders of both Wenceslaus and his grandmother Ludmilla, who is also a canonized saint. You might never get a better photographical evidence than this, confirming that the Roman Catholic church is a cult. Not only a cult, but a death cult. Honoring, praying to, and worshipping the dead. Cardinal Dominik Duka offers insence to the skull. Pope Benedict pray and meditate before the skull. Roman Catholic priests pray and sing before the skull. The skull is decorated. It has been honored with jewels and even a crown. 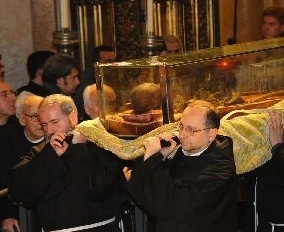 Roman Catholic priests carry the skull into the mass, to be presented at he altar. Before the mass, the skull is carried throug the streets in a public parade. The achbishop present the patron saint of the Cheze Republic. The public is permitted to adore and venerate the “holy skull”. Order brothers of different kinds take good care of the skull presented to Pope Benedict. – How can any follower of Jesus accept the Pope as a Christian leader? 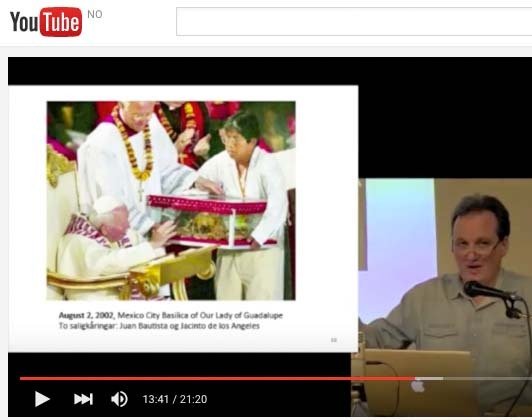 – Could all the reformers of the church be wrong, when they branded the pope as an antichrist? The Vatican II council of 1965 called protestants “separated brethren”. The council aimed for their return to Rome, by their acceptance of the pope as the leader of the largest Christian denomination and Church. The accept of this kind of invitation is a mortal error. The truth is the radical opposite. The Vatican is the mysterious Babylon, the epic center of idol worship in the name of “Christ”. If you want to escape the coming judgment and wrath of God, you need to escape from this religious movement. Need need to come out of her. Completely. And rather expose her evils, like the blasphemies of Pope Benedict and his cardinals and bishops. Be wise. Repent or perish. You’re assuming that the Catholic Church worships the sun, the moon, & the stars; it doesn’t. So your quotes from Scripture do not apply. You need to recite Scripture in context. The Catholic Church worships God the Holy Trinity alone. The saints (holy ones) are made holy by God alone. Thank you for beautiful pictures on this page in good resolution! But your comment is crab. In fact Satan could take a few pointers from these guys. We can not blame secular media in the West, for not printing such images. But what about Christian newspapers, weekly magazines and periodicals? Where are the warnings issues by pastors, who still stand on the lessons of the Reformation? Where are their comments in social media? After the Vatican II council, a lot of Protestant Christians have been decived by their pastors and priests to accept the papacy as a seat of a Christian leader. Their Church has agreed to accept Catholics as saved, and promised not to evangelize them. This is a spritual error with mortal consequences. Such apostate Christians are expected to be taken back on the path to Rome, and accept anti-Christianity as the truth. If you love Roman Catholics, images of the Pope bowing before, and praying to a skull, should have been published on all Facebook accounts of evangelical Christians. But the carnal, wordly or scared Christian, rather chose to not comment, overlook these images, and hope for the best!…. 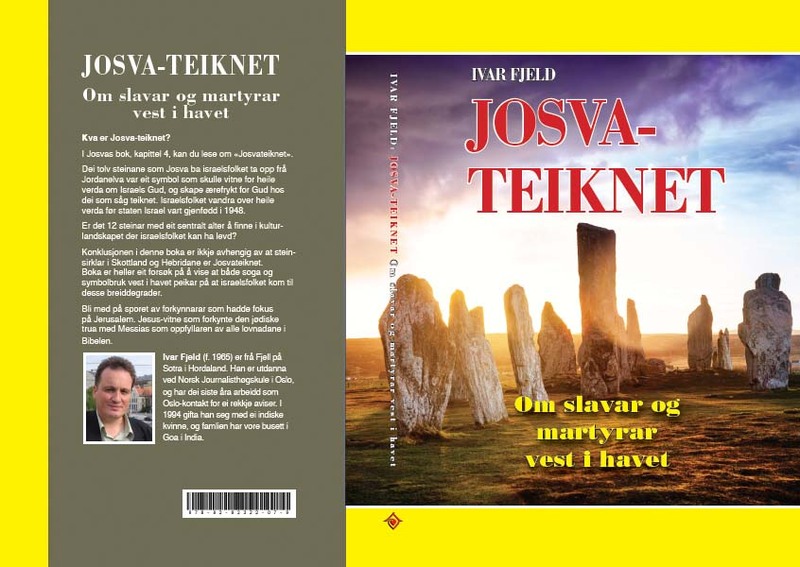 Ivar thank you for you good work, I am no one special just a simple pilgrim on a journey like you in search of truth and enlightenment. I am starting to see an emerging trend not only towards occult practices but also to a fundamental difference between good and evil that I find to be very important. It is said that God gave man free will and that we were cast out of Eden for our disobedience to God. I think God always knew this would happen and that it is not a “fall” as we have been taught but simply a natural step on our spiritual evolution as a species, like a baby bird leaving its nest before it is ready to fly. I see throughout history and emerging trend of “squashing any movement towards unity” between the human race, you see this in ancient middle east, communism in the USSR, the socialist Ba’ath party in the middle east, 1st century christianity as well as the Cathar movement and there are many many more. It seems to me that this is the fundamental difference, EVIL WANTS TO RULE AND ACIEVE “PEACE” THROUGH FEAR, INTIMIDATION AND SUBJUGATION… THROUGH ULTIMATE CONTROL WITH A KING AT THE HEAD (LUCIFER/ANTICHRIST) AND GOD/FORCED OF GOOD ONLY WANT TO ACHIEVE THIS THROUGH THE ACT OF FREE WILL!!! No need for your stupid profanity. Learn how to control yourself or be considered a moral degenerate. You mean like your language above…? The author of this propaganda is purely anticatholic.. out to tarnish the Church and with a very misplaced ideology as far as the Catholic doctrine is concerned.. May God forgive him.. The more they keep trying to tarnish the image of the church, the stronger the church becomes. The world would have been a better place if people face their religion/church and work hard to make them better, other than sit behind the keyboard and tarnish the image of others for no just cause. Yes, the author needs to PLEASE look up and come out of your ignorance the difference between “worship” and “venerate.” No Catholic worships statues, saint relics, or even non-divine people (like the Blessed Virgin). When you attend sports events and clap and scream your heart out, are you worshiping athletes?? It certainly looks like it. Do you worship a flag when you salute and sing (worship?) songs to the country? Colin Kapernick even goes down on his knees on the field when he sees a flag! 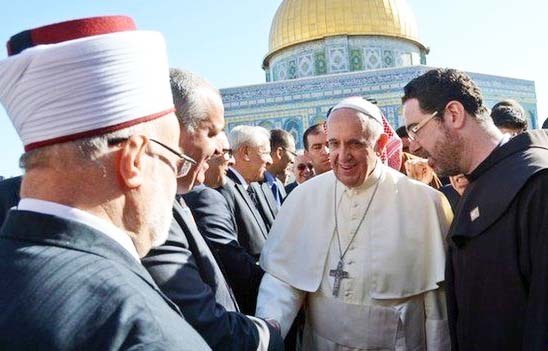 Very the true, the pope is pulling the wool over the eyes over the true believers in God of the Christianity faith. The pope is a devil worshiper and the common people are too blind and deaf to make right what is wrong. Now you know why, the true Christ is coming back, to make right what is wrong and to lead humanity away from all falsehood and into the true path of God. tW0 many sexual misconduct in the church, which they coverup when they can! Yes, it is true that there has been a lot of sexual misconduct/abuse, & it should be brought to light. My belief is that God is cleaning house. All that is evil will be exposed & removed. It’ll be like shining a bright light on an area where roaches hide & watching the roaches scatter to prevent being exposed. On that note, it’s important to note that sexual misconduct/abuse occurs across denominational lines as well – in fact, it knows no religious, socioeconomic, nor ethnic boundaries. It is not something that is exclusive to Catholics. If you doubt, do an online search of Protestant sexual abuse reported, & see how many stories come up. The bones of Elisha had the power to bring dead men to life. That’s the supernatural part, but the main reason behind veneration of relics is to remember the person and what he did. A picture would do, but the actual relics have a stronger memory-stirring effect. 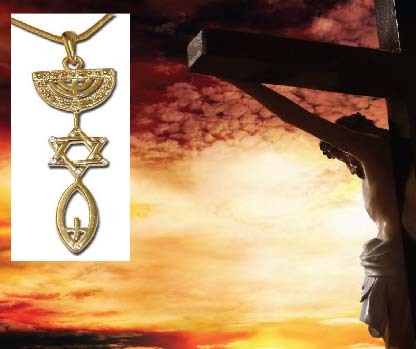 It points to Jesus and tells you, hey, this guy was killed by his own family for the faith. You see this skull? It’s all dressed up here on earth, but that’s nothing compared to the glory he shares with Christ. Be faithful. Then you are encouraged and thank God for that saint. Simple as that. 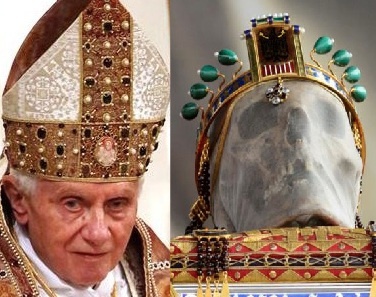 Yes, the Vatican priesthood is governing the true temple of skulls. The successors of the temple of Dagon. Based on what? What is your evidence of this? Where does a Philistine deity have anything to do with this at all? On a different note, what exactly is your denomination since I can’t find what affiliation it is on your blog? This is quite a stretch. How did you go from the holy relics of a saint, whose body is a temple of the Holy Spirit, to crystal skulls used by aliens in a fictitious movie? Where is working for salvation even mentioned in this? Did I overlook a comment? No one is doubting that Jesus is the way to salvation. Praying to saints is in fact Biblical. If you doubt, look at Revelation 5:8, & see how the elders in heaven lift up the prayers of the the saints as incense before God & the Lamb of God. The Book of Martyrs is evil? Really? How does this compare with reading Foxe’s Book of Martyrs then? 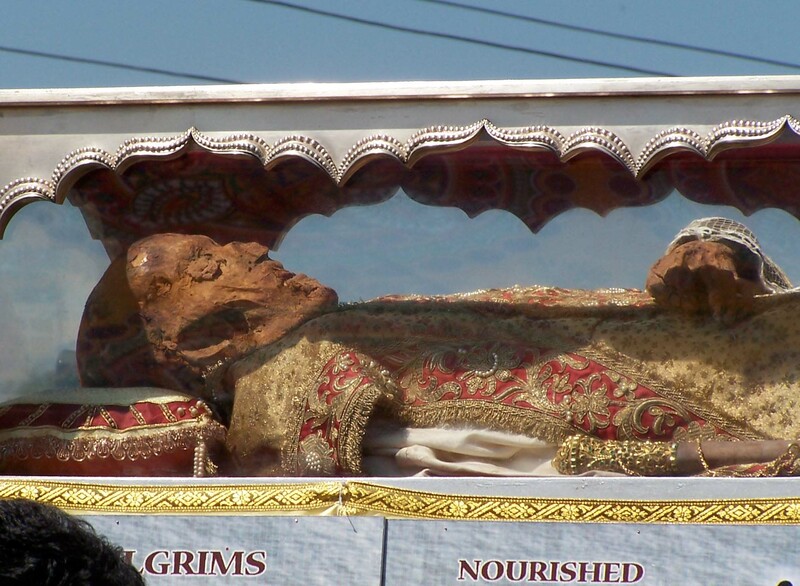 Catholics do not worship skulls and bones of saints. We may honor them and pray in their presence, but we only worship God the Father, Son and Holy Spirit. Get things right before you publish such anti-Catholic garbage. Catholics do not worship skulls and bones of saints. We may honor them and pray in their presence, but we only worship God the Father, Son and Holy Spirit. It is possible to fool a lot of people, for a lomg time. But it is difficult to fool all of us, all the time. In particular after seeing pictures that expose all the lies. Told a million times. Please be honest. What you see is worship of corpses, skulls and bones. Even a child can acknowledge this. Your priests, bishops, cardinals and popes offer incense to these rotten obejcts. They bow before them, the objects being elevated, carried on your shoulders as ancient kings and queens, and brough to the altar of religious shrines. no, what i see is praying for intercession and remembering someone to look up to as a role model. take one look at catholic Eucharistic mass. Thats how catholics worship. by bowing repeatedly, by literally saying the words worship. 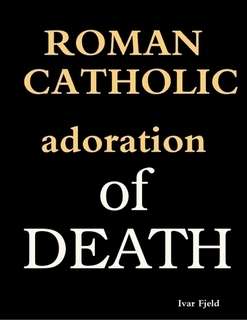 why dont you buy yourself a catechism that has all of this info in a nice organized fashion, and do some research before publishing this poor perspective anti catholic bs. Your comment: no, what I see is praying for intercession and remembering someone to look up to as a role model. My comment: What can a person who is dead can do for you? What can a statue do for you? Leviticus 26:1 “You shall not make idols for yourselves or erect an image or pillar, and you shall not set up a figured stone in your land to bow down to it, for I am the Lord your God. You have been fooled by anti-Catholic hatred and clueless what’s happening. Do you know what is being said? When Colin Kapernick “takes a knee” on a football field, is he worshiping the football? Incense is a purification– not a “worship.” When people put their hand over their hearts or salute your country’s flag, are they worshiping the flag? The Jews light a candle and pray around it, are they praying TO the menorah? Is it “worship” for someone to ask a friend to “pray for me”? Dear Dan … you either see what you want to see or you interpret what you see in ways that you have been trained to interpret them by mentors/pastors with their own agendas in mind. Nonetheless, priests, bishops, cardinals and popes offer incense only to God. It is the traditional symbol of prayers ascending to the throne of God. The gesture of “incensing” in a gesture of blessing or honoring … not of adoration or worshiping corpses, skulls and bones. All that has been created is to give honor and glory to God alone. Many cultures use similar gestures in very different ways. Be assured, there is nothing in the almost 2000 years of Roman Catholic spirituality that justifies or gives credence to your interpretation of our use of incense. 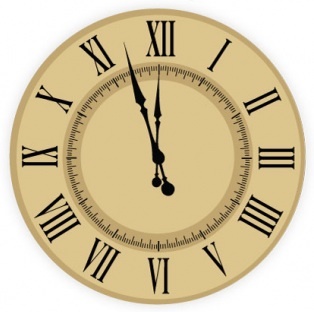 I know what it might look like to some … perhaps to many … but I know what is actually meant when we use this powerful symbol and spiritual gesture. Dear Priest Ron. Shalom and love in Jesus. When a Catholic priest bow before a skull or a corpse, pray before it, the priest worship the dead. It is a grave sin, and blapemeny against Jesus the Messiah. A Christian will never pray to anything else than the living God, in the name if Jesus. Praying, using any other name, makes you a son of the devil. Please repent, or you will surely perish and have to spend eternity in Hell. Please remember that I loved you enough to warn you. 1. someone who has been baptized & sealed by the Holy Spirit. 3. a person who is in God’s presence in heaven. 5. one who has lived his/her life in obedience to Christ out of love for Him. 6. is one who is connected as a branch to Jesus Christ, the Vine. 7. who believes that to be out of the body is to be before the Lord. The “cloud of witnesses” in the original Greek is a “crowd of martyrs” who surround us…Why would a crowd of martyrs surround us? Some of them gave living witness with their testimonies, & some of them witnessed to Christ with their very lives giving up their lives unto death for Christ. 9. is someone who has been conformed to Christ, who shares in His glory. 10. is someone who has partaken of the Divine Nature of Christ to unite himself/herself to Him. 11. is someone who intercedes for us in heaven in accordance with the Book of Revelation. As a result, people brought the sick into the streets and laid them on beds and mats so that at least Peter’s shadow might fall on some of them as he passed by. If you make this example of Elisha as an universal message to us all, go to your grave yard. Immideately. Exhume all corpses. Bring them to the hospials, and heal all the sick. To be little bit blunt. If you have pain in your stomack, please eat some of the bones. Do not only dow before them and pray to them. In Acts 5:15, the people do not adore, veneral and worship the bones of the dead. So your explanation is irrelevant. 2 Maccabees is an apocryff book written in Greek, and not inspired by the Holy Spirit. Therefore not to be found in non-Catholic bible translations. 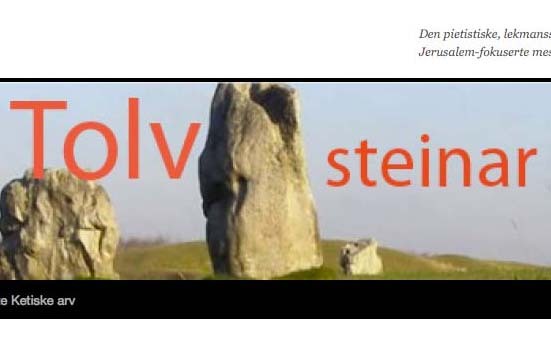 Translated into Hebrew, its considered a journal of Jewish history. Peter ………….. JaneDough here – and no matter how you try to twist God’s Holy Written Word, it isn’t changing God’s Holy Written Word. But more so – you are in danger of judgement from God – for trying to twist His Words in defense of a known antichrist. He has done no such thing. If anything, the very people accusing him are guilty of the very things they accuse him of. Kneeling respect – not worshiping. You said: Kneeling in respect-not worshipping. My comment: The fact that you bow down to statues, dead bodies, and pray for them is a huge insult to Jesus Christ. These things cannot save you, cannot heal, cannot speak. Isaiah 8:19 And when they say to you, “Inquire of the mediums and the necromancers who chirp and mutter,” should not a people inquire of their God? Should they inquire of the dead on behalf of the living? Ecclesiastes 9:5-6 For the living know that they will die, but the dead know nothing, and they have no more reward, for the memory of them is forgotten. Their love and their hate and their envy have already perished, and forever they have no more share in all that is done under the sun. “You said: Kneeling in respect-not worshipping. * Didn’t the Ark have cherubim atop of it by God’s command? * How about the Temple of Jerusalem – didn’t it have images of bulls, trees, more cherubim, pomegranates, & the like – all approved by God? * What about the serpent on the staff that Moses was commanded to make to save the people when they’d been bitten by seraphs in the desert? * What was the difference? * On the charge of necromancy, was Jesus guilty of necromancy when He transfigured on Mt. Tabor & Moses & Elijah appeared before Him & the 3 Apostles – talking to Jesus? * Are those who believed in Jesus Christ who have died dead or alive? Please justify your answer with Scripture. This is true & correct. However, the topic here is saints as intercessors, not Christ as the mediator of a New Covenant. Christians intercede for one another through prayer. When you have a prayer need, & someone says they’ll pray for you, or you offer to pray for someone, that’s intercession. You are interceding on their behalf or they for you. Catholics believe in the communion of saints. We believe that when we abide in Christ, just as He said, if we believe in Him – even if we die – we will live forever. The saints therefore can indeed pray for us because they live in Jesus Christ! Their bodies may be in the ground awaiting His Second Coming for the bodily resurrection where our bodies will be raised imperishable in accordance with 1 Corinthians 15, but when we die, Scripture tells us that we are in the presence of the Lord: our spirits go to Him because we are sealed in the Holy Spirit. We belong to Him. We are connected as branches to Jesus Christ, the Vine. So they live, & we can indeed pray for their intercession because they are part of the Body of Christ & we can’t say to one part of the Body that we don’t need it. That is Scriptural. “Judge not, thay ye be not judged”. There is a short circut in how both liberal theologicans and Roman Catholics use this verse. Either to promote lawlessness, or as a bid to define Catholicism as true Christianity. The correct understanding of this Biblical lesson, is that we shall not act as the final judge. Only Jesus is the final judge. But we are in need of the ability to call right from wrong. I think there is a difference in judging & discerning. Regarding your interpretation, how do I know it’s the correct one? Let me tell you something that really happened to me years ago. I used to attend classes at my local nondenominational church for a Ministry Apprenticeship Program. It was for people wanting to serve in some ministry or for personal enrichment. Something that I started to notice was this: we had written assignments where we were supposed to discuss Scripture topics & use the Scriptures & Bible Study Tools for our research on the papers. Here’s the thing: I kept waiting for someone to give the authoritative interpretation on the various Scripture passages. You know what? No one ever did. Apparently everyone’s interpretations were ok – even great according to the instructor giving the class! So by that standard anything goes! Your interpretation is about as valid as any one of those, but I am more discerning. Jesus didn’t say that the Old Testament was to be interpreted any old way. He clarified what Scripture really meant because He was the Only One Who honestly knew it from cover to cover because He is God, & it’s His written Word. But Jesus Christ is the Word made flesh. St. John the Evangelist had must to say about Him in the 1st chapter of the Gospel of St. John. From 1 Timothy 3:14,15: Although I hope to come to you soon, I am writing you these things so that, if I am delayed, you will know how each one must conduct himself in God’s household, which is the church of the living God, the pillar and foundation of the truth. Cool Aztec Style! All GrecoRoman or Sumer-Babylon-Assyrian ! Once again, modern media gets things wrong. Catholics (including Popes) do not “pray to a skull”! We respect, honor and venerate relics of the deceased, be they declared saints or otherwise … in perhaps an even more intimate way than families carefully hang pictures of their deceased loved ones in their homes. “Praying to a skull” is ridiculous. Remembering the virtuous of and asking the deceased to pray with us that God’s graces be magnified in our lives … now that’s another thing entirely. Most people (whether asked to do so or not) pray for one another here and now … seeking God’s powerful and healing love that can heal what has been damaged by evil and/or sin. Together we seek God’s help which, through the passion, death and resurrection of Jesus, has been restored to us and is both abundant and gratuitously available to one and all. And since death changes nothing as far as God is concerned, we regularly ask those who have died to continue whatever can be done to facilitate the flow of God’s graces in our lives. Dear priest Ron. Shalom, and love in Jesus. I understand that Roman Catholic priest, and comitted to defend the pope. But it is an impossible task, when you are confronted with photograpical evidenes of a Pope bowing before a skull, folding his hands and praying. Even a child can understand that the Pope is no Christian, put a pagan who claim to be one. A fake, and a dangerous deciever of the flock. Repent or perish. If you bow before a cross & fold your hands in prayer, does that mean that you are worshipping the cross? Please provide evidence from Scripture & history of any paganism on the Pope’s part or of any deception on his part. I understand that Roman Catholics gets frustrated by looking at pictures of the Pope, cardinals, bishops and priests praying before skulls, bones and corpses. There is no other way than to repent, and leave this house of of the wicked. The fruts of religious falsehood would be terrible. Do not join this movement towards the wide gates of Hell. I loved you enough to warn you. I am astounded that a whole Fr can write something like this. You ask dead people to intercede for you? This is beyond astounding. How can the dead hear you my friend? I too was a dedicated Catholic for over ten years. I believed everything the Church taught. But in the Holy Bible, Jesus said to worship theFather in Spirit and truth. Not a piece of bread or a gobblet of wine. The doctrine of transubstantiation is totally rediculous. Thank God for Martin Luther. I’m still protesting!!! 45 It is written in the Prophets: ‘They will all be taught by God.’ Everyone who has heard the Father and learned from him comes to me. 50 But here is the bread that comes down from heaven, which anyone may eat and not die. 53 Jesus said to them, “Very truly I tell you, ***unless you eat the flesh of the Son of Man and drink his blood, you have no life in you*** . 63 The Spirit gives life; the flesh counts for nothing. The words I have spoken to you—they are full of the Spirite and life. Please show me in the Scriptures & using the original Greek where Jesus said He was speaking symbolically. 21 for when you are eating, some of you go ahead with your own private suppers. As a result, one person remains hungry and another gets drunk. 22 Don’t you have homes to eat and drink in? Or do you despise the church of God by humiliating those who have nothing? What shall I say to you? Shall I praise you? Certainly not in this matter! * Why doe St. Paul repeat the words of Christ when He said, “This is My Body” ? * Why does he state that “whoever eats the bread or drinks the cup of the Lord in an unworthy manner will be guilty of sinning against the body and blood of the Lord”? * Are these mere symbols he’s speaking of? * Why does St. Paul say that many who have not done this have gotten weak, sick, & a number have died? Does this sound like it’s merely symbolic? Do you mean to say, by your logic, that he a physical gate? Please also show me Book, Chapter, & Verse where we are commanded in the Scriptures to rebel against the very Church He’d established. I think you will find the exact opposite. He did say CHURCH, not various sects/denominations of churches in rebellion to His Church – His Body. That’s like someone amputating a foot & saying they don’t need it. Not only will be severed from the main Body from which it receives its life & sustenance, but it will die. I understand that thise images is disturbing, and that religious people feel they have to put up a defence for the papacy. But you do not have to be a rocket scientist to understand that this is a morbid, distastfull and quit spooky form of faith. Not in God of the Bible, but in Lucifer and his falen dark angles. There is no need to repent when one has come home to the Church established by Jesus Christ Himself, sir. As Jesus Christ Himself had said, the gates of hell would not overcome it. I appreciate your sentiment towards me, but you speak just as many of my Protestant brethren who had been abusive to my family had spoken – not out of love – but out of feelings of moral superiority. What the Pope demonstrates is that the holy ones of God are reverenced. They are now holy in His Presence, & those in His Presence are made holy for nothing unholy can be in His Presence. They share in His glory in accordance with the Scriptures, & they reign with Him because they abide in Him: that is Scriptural. Aren’t the bodies of the saints considered temples of the Holy Spirit? If they are so holy as to be called temples of the Holy Spirit, why wouldn’t they be treated with reverence?